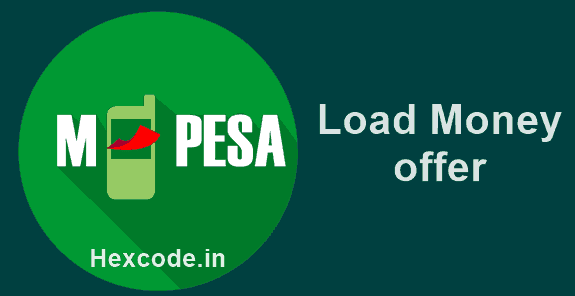 Mpesa load money offer: If you want to add money in Vodafone Mpesa wallet, this offer is for you. Now avail this Mpesa wallet offer and you will get flat 50 Rs Cashback on adding minimum 1000 Rs. Offer is valid for all Vodafone postpaid or prepaid customers. You will get cashback within 1 day and offer valid until 10 April 2018. Please note – You need to use this cashback within 1 week else it will expire automatically. Now add 1000 Rs and pay via Credit/Debit card or net banking only. Cashback will be credited within 1 day after adding money. Mpesa add money offer is valid until 10 April 2018. You can check more add money offers here. This Mpesa Add money offer is valid for Vodafone Post-paid and Prepaid customers only who are registered users of My Vodafone Application. Every customer is eligible for cashback of Rs.50 on Add Money transaction of Rs.1000 or more, through online channels only such as M-Pesa website (www.mpesa.in) or Mobile Application using Debit Card, Credit Card and Net-Banking. The offer is applicable once per user per month, up to a maximum 3 (three) times during the offer period. Cashback will be credited to customer M-Pesa account within 1 working day from the date of successful Add Money transaction.